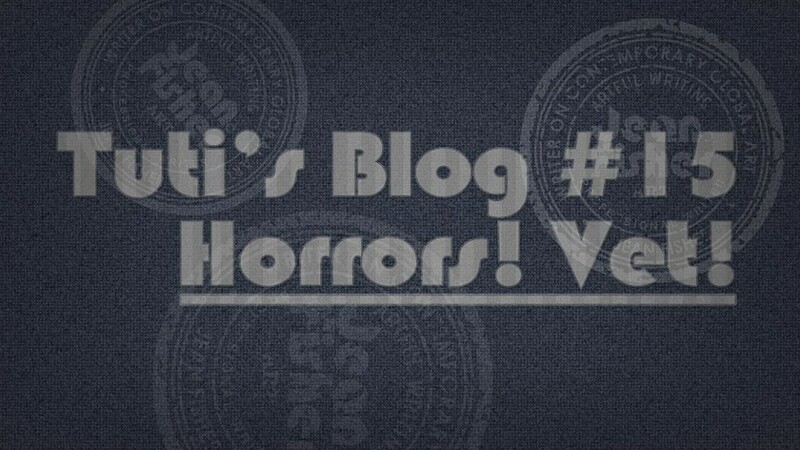 Tuti’s Blog #15 – Horrors! Vet! Horrors! Yet another visit to the dreaded vet! Once a year I am forced into this carrier box, despite my mewling remonstrations, for a so-called ‘check-up’, with other visits in-between for a mani-pedicure. Well, I admit my claws are like needles. One day the old Carer and I were playing and I caught a vein in her arm. What a lot of blood from a little puncture! These Humans have very leaky bodies! Things, though, are getting nasty. As a result of some patchy loss of hair around my shoulders and sore eyelids, which admittedly were quite itchy, I had to have hair shaved and a blood sample taken. It took two vets to hold me down! The result came back as ‘allergies’ – ALLERGIES? MOI? – to (unspecified) ‘trees’. There is a silver birch in the garden, not to mention a bunch of trees in the park over the garden wall. I often climb a couple of metres up the silver birch, just to keep the cheeky squirrels on their toes, but then I have a problem, as my claws are good for climbing up but – desgraciadamente –hopeless for getting back down, so I have to let go and leap into space. I have nothing directly to do with the park trees as I don’t go in the park, except by mistake. Anyway, whatever the cause of the allergies, I am now subject to dreadful TORTURE – a syringe (no needle, I hasten to add) containing something unpleasant shoved into my mouth despite I clench my teeth as hard as I can. A mighty struggle of wills with The Carers, which I somehow manage to lose. After weeks of this, I cannot say that there is any improvement in my condition, but rest assured I have lost ALL trust in The Carers. I know they keep the medicine in the bathroom and, as I have big ears with 20:20 hearing, I can instantly tell when they are rattling the medicine bottle. Which is my cue to hide behind the sofa.